Deadline dates are given if available. If there is no deadline date or the link doesn't work, we are waiting for the community association to update. Check back often. This list of community scholarships is not exhaustive. ​An important tip is to check out your own PERSONAL RESOURCES. If you have a job, check to see if the business offers scholarship opportunities. If you belong to community groups or sports programs, be sure to ask your leaders or coaches for available information. Ask your parents, grandparents, and other family members what opportunities are available from their place of employment. Check out local businesses, hospitals, and organizations. Never hurts to ask. Visit website for details. 3 scholarships available. Visit website for details and application. From sustainable agriculture practices to modern technology, Bayer Crop Science is focused on the future of the food production industry. Nothing is more important to the future agriculture and food production than the passionate people who have dedicated their careers to feeding Canadians. That is why Bayer Crop Science Canada has great scholarship opportunities for both graduating high school students and current post-secondary students. ​Visit website for details and application. Many scholarships available. Scholarships are valued at $750. Please see website for further information about criteria and the application process. Scholarships for post-secondary studies undertaken by BCGEU (BC Government and Service Employees' Union) members, staff and their families. These scholarships are offered to full-time and part-time studies. Details of the scholarship programme, including eligibility requirements, an FAQ and link to the online application may be found online at th BCGEU website. Established in 2005, the industry-funded BC Technology Scholarship Program is proud to provide grants to students who are pursuing a post-secondary education in a BC-based technology-related discipline. This year, they will be awarding 3 x $2500 scholarships to Grade 12 students who are entering at a minimum a 2 year technical program. This scholarship was established to provide financial support to individuals obtaining an education in fields related to road building and heavy construction industries. Preference is given to females and/or members of minority groups. Please visit website for more details and application. Created in memory of BURGER KING co-founder James W. McLamore, the BURGER KING Scholars program has awarded more than $20 million in scholarships to high school students, BURGER KING® employees and their children across the U.S and CANADA.. 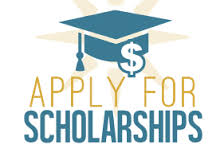 Scholarship grants range from $1,000 to $50,000, and are intended to help students offset the cost of attending college or post-secondary vocational/technical school. Recipients are selected based on their grade point average, work experience, extracurricular activities and/or community service. BURGER KING® General Track: consideration will be given to each applicant's academic record (50%) and participation in school and community activities (50%)​. The Charlene Reaveley Children’s Charity recognizes graduating students who harbour the hope and potential for a brighter tomorrow in the face of adversity through the loss of a parent and/or sibling. CRCCS is proud to give back by providing financial recognition to students who exemplify Charlene’s involvement in the community and/or volunteer work which encourages the youth of today to be the leaders of tomorrow. This program was inspired by Charlene’s passion for children and desire for a closer community. All bursaries require that candidates are in good academic standing, contribute to their communities, and will be furthering their education at a post-secondary institution upon graduation. CRCCS board of directors will select the successful recipients. Please visit website to apply by clicking on attached link. We award scholarships to youth who have faced adversity in their lives and demonstrated tenacity. Many of our students would not be able to access post-secondary education without our help. With hard work and our support, their dreams can become reality. The Fraser Valley Secondary Schools’ Athletic Association is pleased to offer 6 x $750.00 Scholarships, open to both boys and girls; with one scholarship awarded to a candidate of each gender who most fully displays to the Selection Committee the all-round qualities exemplified by the Selection Criteria. The Selection Committee, in assessing the merits of nominees, will be looking for candidates who have participated in one of the sports recognized by the F.V.S.S.A.A. or who have provided support to one of these sports programs through Coaching or in a support role. They will also be looking for candidates who have shown strong Community service, have excellent Academic skills, and who plan to pursue a sport science through a post secondary institution, and the ability to serve, work with, and lead others. d) character and personal qualities including a positive attitude as a student/athlete. ​For further information and the application form, please visit the website. The Jim Hebden Chemistry $1000 Bursary will be awarded to a student who has performed service for his/her school and/or community while maintaining the grades in science that are necessary for success in post-secondary education. 2. the student can demonstrate plans to continue the study of chemistry at a recognized post-secondary institution, whether it be toward a chemistry degree or in a field related to chemistry such as nursing or engineering. For more information regarding criteria and the application process, please see website. Scholarships of up to $10,000 are awarded to full-time students in their last year of high school with financial need (family income under $65,000) who have demonstrated integrity and perseverance in overcoming adversity, a commitment to pursue a post-secondary education, a desire to contribute to society, and a good academic record. ​ICBABC’s Annual Student Achievement Awards support outstanding students as they further pursue their academic endeavors within a post-secondary institution. The vision of the awards program is to invest in and develop strong leaders who demonstrate academic excellence, community involvement, a moral force of character, instincts to lead, and commitment to intellectual and personal development. For further information, please visit website by clicking here. Jennifer Wadge was the President of the Surrey Teachers’ Association from 2012 until her untimely death in 2015. . Jennifer was deeply committed to the principles of social justice, seeing them as a cornerstone of our work in an equitable society. The STA annually bestows six social justice awards of $2,000 to successful applicants attending schools in the Surrey School District. It is not necessary to have taken Social Justice 12 to qualify for the award. ​See website for details and application. ​There are a limited number of $500 Makeup & Fashion Scholarships scholarships available for the JCI Institute. Please see flyer below for more details. The Prospera Educational Awards Program offers more than $20,000 in awards every year. Visit the website for further details and application. The intention of this fund is to financially assist British Columbians in pursuing educational development for their future careers. To be eligible an applicant must be a former permanent ward or have been in continuing custody of the Province of British Columbia, and meet other criteria deemed appropriate by the Trustee. ​Visit the website for further details found in "Featured Information" then "PGT now accepting bursary applications". ​The RBC Indigenous Student Awards Program was launched in 1992 to assist Indigenous students to complete post-secondary education. Re/Max of Western Canada offers 16 x $1000 Bursaries to qualifying Grade 12 students. educational institution (academic or vocational). Click PDF below for criteria information and application. ​The Legion donates bursaries to eligible grade 12 students who are attending post secondary university, college, vocational or trade school. To qualify, a student must have a parent, grandparent or great grandparent who served in any of the Royal Canadian Navy, the Canadian Army or the Royal Canadian Air Force, or who was a regular member of the RCMP, or who served in a British Commonwealth naval, military or air force unit during the First World War, the Second World War or the Korean War. The Semiahmoo Rotary Club is proud to announce the 7th Annual SASSY Awards. SASSY stands for “Service Above Self” Surrey Youth, incorporating Rotary’s motto. The awards aim to recognize, acknowledge and celebrate the achievements of youth who exemplify the ideals of Rotary by making a positive impact in our community and around the world. The Schulich Scholarships fund 50 undergraduate scholarships each year, across top Canadian universities. Students must be pursuing a degree in Engineering, Science, Technology or Math. Once the student is nominated by their secondary school, they complete the application for Schulich and include the names of the Universities where they would like to attend. Each university selects their own Schulich Leader. SOAR Philanthropic Society is a registered non-profit organization in British Columbia fostered by a large group of highly motivated students seeking to make a positive impact within the community. SOAR provides financial assistance to graduating high school students wishing to attend post-secondary institutions. The Levitt family awards each year's selected recipient $2,500 in memory of Stacy Levitt, who was stuck and killed by a car at 18 years old. This annual high school student award encourages Canadian youth to maintain an approach that is rooted in risk management and injury prevention. The award could be put towards an educational endeavour, engagement in sports, or investment in a travel experience. These awards are given to grade 12 students who have overcome significant barriers in their personal lives to pursue a post-secondary education at Kwantlen Polytechnic University (KPU). Visit website. 3 scholarships available. ​For more elgibility information and application, please visit their website. A 600-word essay (three copies) describing your community leadership experience. A 250-word essay describing your family and personal life, for example your family’s employment or economic situation. One of Youth Transforming Society’s (YTS) goals is to promote community volunteerism among youth and to further this goal, we have created the YTS Scholarship for Community Service. These $1000 awards will recognize student’s dedication and commitment to selfless service in the community. This year, YTS will be giving out three $1000 scholarships. We hope to celebrate the achievements of a young person who has created positive change! For more information, please click here to visit the Youth Transforming Society website.